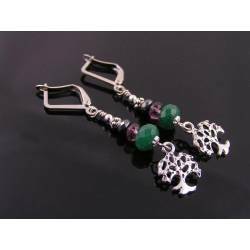 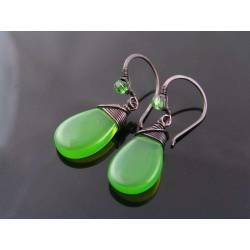 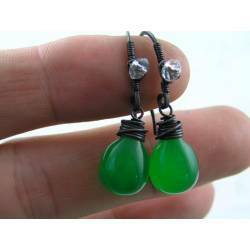 For these striking earrings, I chose glowing natural green onyx drops which have been treated to this bright and unusual colour. 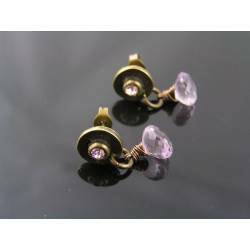 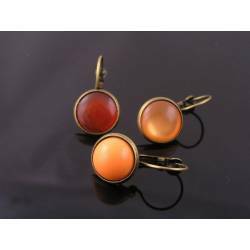 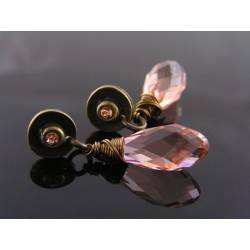 The gemstones are a good size, 14mm in length. 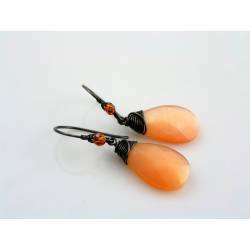 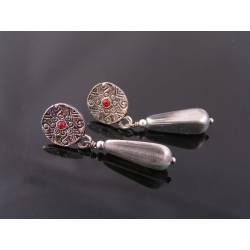 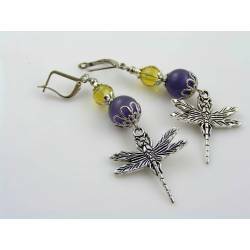 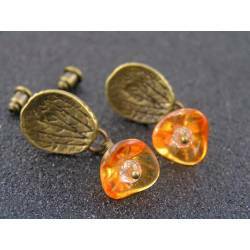 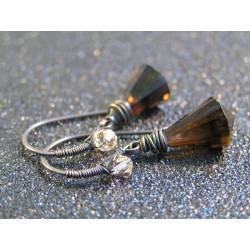 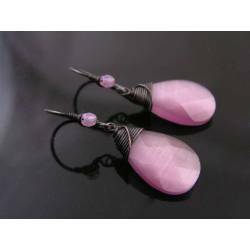 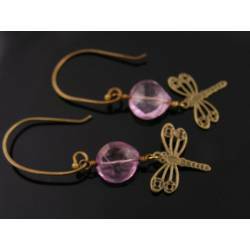 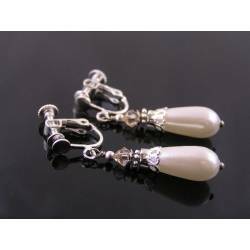 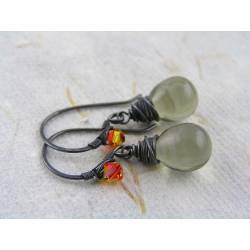 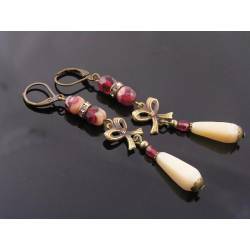 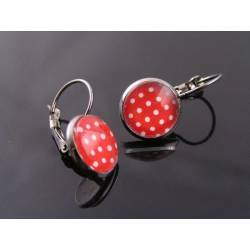 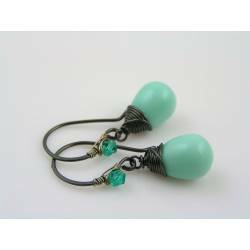 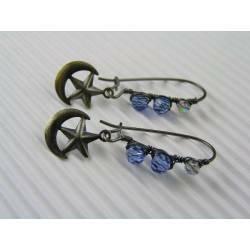 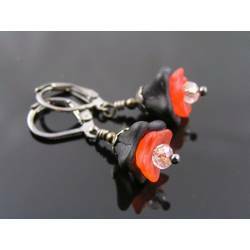 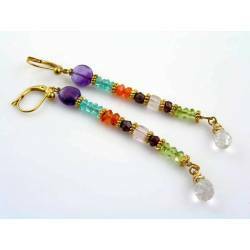 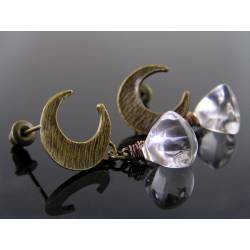 They are wire wrapped to secure lever back ear wires which are embellished with little shells at the front. 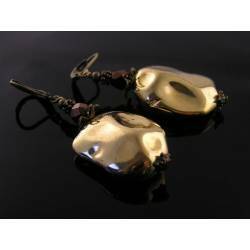 All metal is solid brass which has been hand-oxidised and polished for a nice antique gold color and shine. 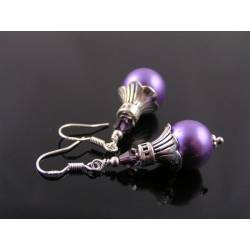 They have been sealed with a non-toxic jewellery lacquer to preserve the finish.